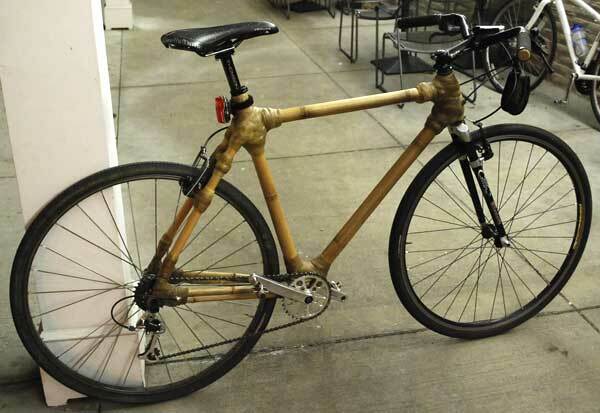 Mark just finished his first bamboo bike! It rocks! 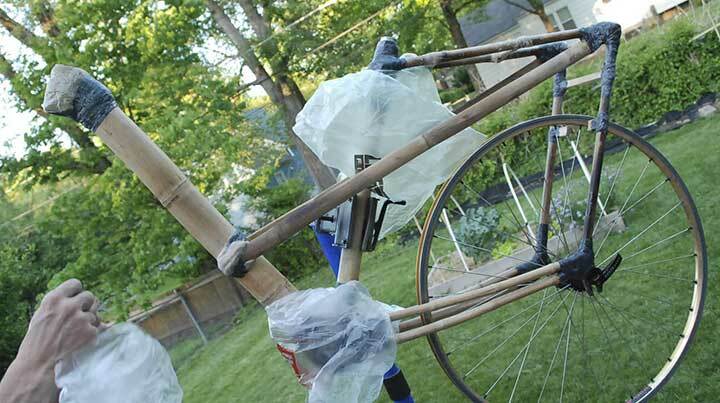 Mark’s first hand-made bamboo bike. He rode it to meet me after work on Friday. He was jumping around on it to test the frame and broke a spoke. but the bike is holding up beautifully. I get one next! He wants to build me a recumbent using pieces of a mountain bike frame with a shock in it. I can’t wait! 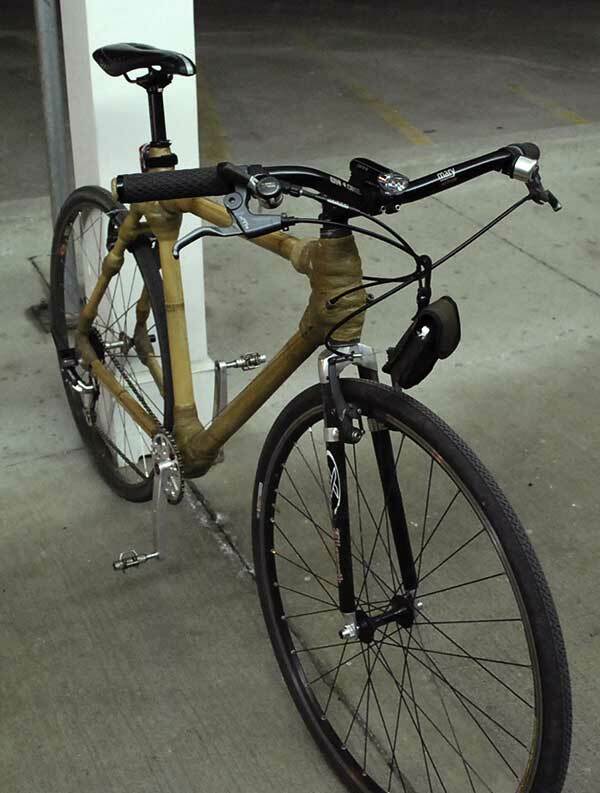 Mark designed and built his own bamboo bicycle.